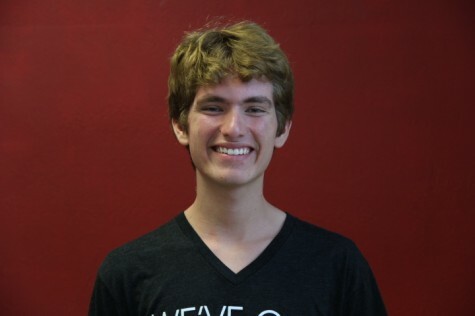 Camilo Bacca is a senior in the Visual and Performing Arts Academy at Coral Gables Senior High School. He is a returning this year to the CavsConnect Staff as the Photography Editor. Overall, Camilo can be very quiet and reserved or he can be bold and daring, but he loves talking and inspiring others. “Having a voice is not only about learning how to speak. Having a voice means knowing how to listen.” He is a bookworm and a die-hard theater fan, and adores all the visual and performing arts. Art is the greatest source of inspiration to him. After graduation, he plans to go out of state for college, and he would love to attend a prestigious university. In his little free time, you will probably find him curled up next to good book, roaming an art gallery,listing to his music, or watching a play or move. He will read just about anything he can get his hands on, but has developed an unhealthy addiction to Stephen King and Shakespeare. Camilo also is deeply involved in all of the CGHS activities, so it is no surprise to see him running around. He is involved in Creative Writing Club, NEHS, GSA, Gables Players/ Troupe, Art Club, Speech and Debate, and a variety of others extracurriculars. If you ever see him or need help, just stop him and ask him. He will be happy to help and listen.